I have been coveting a larger rice cooker and a bamboo steamer for some time. Since I sold my old iPhone to Gazelle, they sent me an Amazon gift card in return. 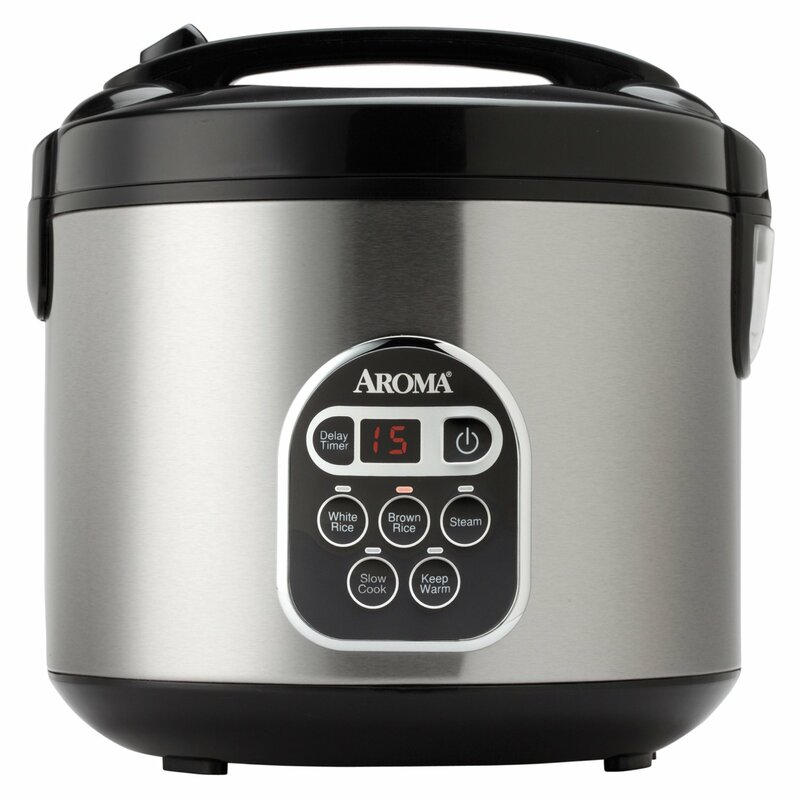 That was right on time, so I used it to purchase the Aroma 10 cup (uncooked) 20 cup (cooked) digital rice cooker and food steamer. The best of both worlds in one appliance. You know when you have a jones for something particular, well, shrimp with garlic sauce was on my mind since the weekend. We ordered takeout Saturday night and I ordered Shrimp with Garlic sauce from the local Chinese restaurant, New Kin, and it was DELECTABLE. Sadly, they only use white rice but, I usually keep brown rice in the fridge. I’d only ordered a pint and it wasn’t enough for a full second serving the next day. That’s when I began to scour my cookbooks and the Internet in search for the perfect recipe. The flavors were fresh in my mind, the chilli peppers, the slightly sweet tinge, the sesame oil, the perfectly steamed broccoli; I knew just what I was looking for. When I found the Appetite for China web site that listed the simple but potentially similar recipe, I knew I had to try it. I took a few liberties with it as with all things I cook. Here is my take on AFC’s recipe. Prepare shrimp and set aside. Heat wok on medium and EVOO, saute the garlic for 30 seconds or more. Add shrimp and saute for 4 minutes. Turn heat down to low, add dried chilies and sauce and mix to coat all the shrimp. Grind freshly cracked black pepper on top. 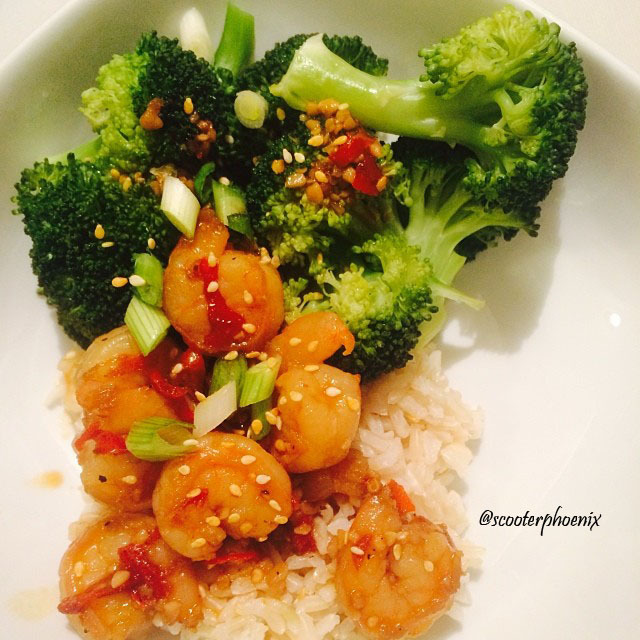 Serve over brown rice and steamed broccoli. Top with 1-2 tablespoons of scallions and toasted sesame seeds. For the broccoli, I used 2 heads, washed and cut. Followed the directions on the steamer by setting to 8 minutes, adding 3 cups of water, adding the broccoli and let it go. It was perfectly, did I SAY PERFECTLY steamed! I can eat this everyday for the rest of my life!!! I just tried this tutorial and BOY did I make mistakes! I can’t wait to try this again so I can catch the gotchas before the last seams go in. 1) The pockets don’t meet up at the seam. 2) I added buttonholes for the drawstring and one was too low, so I sewed the right through it for the casing. I used nylon webbing for the strap and I really like that touch. The pockets are great for a water bottle and cell phone. All in all, a wonderful tutorial. I don’t have enough space to keep an ironing board and sewing machine set up. I also don’t have a lot of time, so fast craft projects are perfect for me. This bag took me less than 2 hours from start to finish, once I’d figured out the method and measurements. 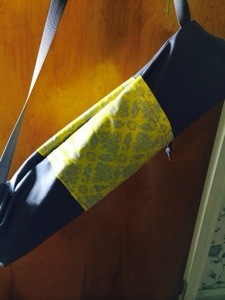 I made a bag for myself out of scrap fabric. 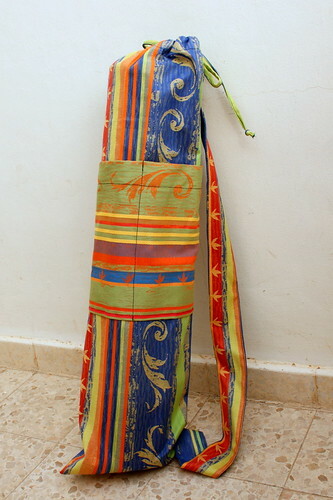 When Edna, my yoga teacher, admired it I offered to make her a bag if she provided the fabric. She was delighted and the fact that it gave me an opportunity to photograph and write up this tutorial was an added bonus! As I was walking my dog, Kima, my legs were freezing!! I have on workout capris under my pants (thermals are in the hamper) to keep warm, but the part that was exposed felt raw. I ran back in the house and got an idea. I had a cardigan that’s too large so I cut the arms off and used them for leg warmers. Problem solved! I’ll even them up when I get home tonight & serge the edge. Since beginning on that natural hair journey, I’ve read more on this topic than I’ve read for studying for the LSATs (sike). Well, pretty close to that much reading. I’ve been all over the Internets (yes, with an S); YouTube, Blogs, Amazon, Facebook, locker room chats, all of it. There is a lot of information about natural hair, but the common thread I found is, it depends. It depends on your hair type, your hair needs, your hair length, your hair care regimen, your time, your skill, your patience, your diet, your fitness regimen, how you care for your natural hair all depends on YOU! Now that we have that out of the way, I stumbled upon shea butter mix recipes several times on my journey. 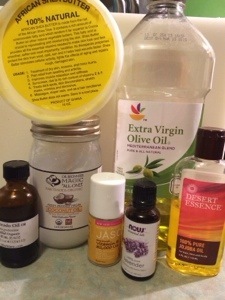 Since many naturalistas are also part-time chemists, making their own hair products seems like the norm. Well, I decided to give it a whirl. For my first batch, I order a pound of shea butter from Amazon and raided my oil collection, then purchased some essential oils. Then I got to mixing. My first batch was half a tub and it was very stiff. I didn’t have enough supporting oils in it. I took the dud batch to the gym locker for after shower moisturizing. It’s too stiff for my hair as it leaves a thick haze in it. I took the other half of that batch and added some more oil. I was moving in the right direction. My huzzband even started using it and he liked how it felt on his shaved head and dry skin. For the second batch, I purchased a pound from a Muslim stand near Broad and Girard Avenue and this time I made sure I added an ample amount of oil. This batch turned out PERFECT! 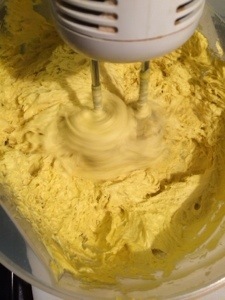 Mix with a hand blender until butter softens and blends. Add more oils to soften and mix until it’s light an airy. Add essential oils until you’ve reached your desired scent. This will yield twice as much butter than you started with. It can be used in your hair, body, lips, hands, feet, elbows.. EVERYWHERE! This batch is like a fluffy heavenly balm. You can even by some really cute containers, make some awesome labels and gift some to your fellow curlfriend. She’ll love you for it. I was literally running out the door this morning. I had a 6:00 AM personal training appointment with Char Biggs and I couldn’t miss it. I had a few minutes so I stopped to make some fresh juice for the day. 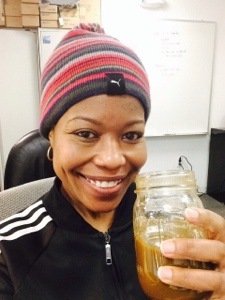 I’d been juicing all weekend and I felt amazing. I didn’t want the great feeling to end so I filled up a bowl with vinegar water and started dumping in the goodies. Cucumber, Apple, Red Pepper, Spinach. The carrot juice is so yummy! 5 carrots give it a really nice, smooth flavor. The cucumber juice is meh. I could have left out the half of red pepper, but I was just grabbing stuff & tossing it in. All in all, I’m glad I stopped and took some time for my health and myself this morning. I know my body will thank me for it. Make it a great day. After chilling in the fridge most of the day, the cucumber juice wasn’t half bad; dare I say, tasty, cool & refreshing! My son, Christian is a renaissance man. He dances (b-boy), plays bass guitar, is an artist (draws, paints, screen printing), photographer and budding graphic designer. He attends the local performing arts high school and is a visual arts major. For the past several years, he has been taking art classes at the University of the Arts during the school year as well as over the summer. 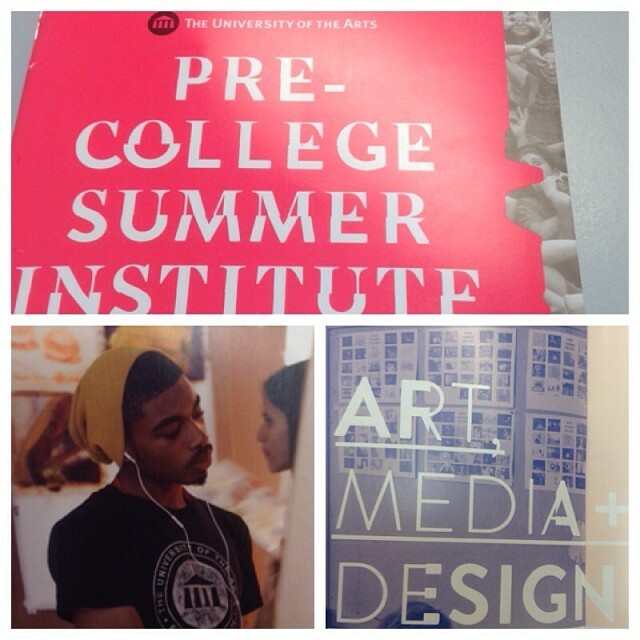 Last year he attended the Pre-College Institute for High School Students for the first time and was introduced to the real meaning of summer intensive! He was engaged for 8-10 hours a day, 6 days a week, practicing in various medium, attending lectures from industry professionals and visiting local museums and attractions with other like-minded teens. At the end of the program, there was a wonderful exhibit showcasing all of the extremely talented artists and their works. I was in awe of the pure talent and drive of them all. I met several of his classmates and like him, they were very honest, open and passionate about their craft. I took so much away from that exhibit; this program truly helps mold our future artists in such a profound way. Imagine my surprise yesterday when Christian showed me the catalog that had just come in the mail. He is featured in the catalog with a very serious look on his face. The candid shot of him is from his painting class. He looks intently at his work while listening to tunes. All while sporting one of his favorite UARTS t-shirts. This is such a proud mommy moment! He’s such a wonderful, kind, handsome and funny kid. 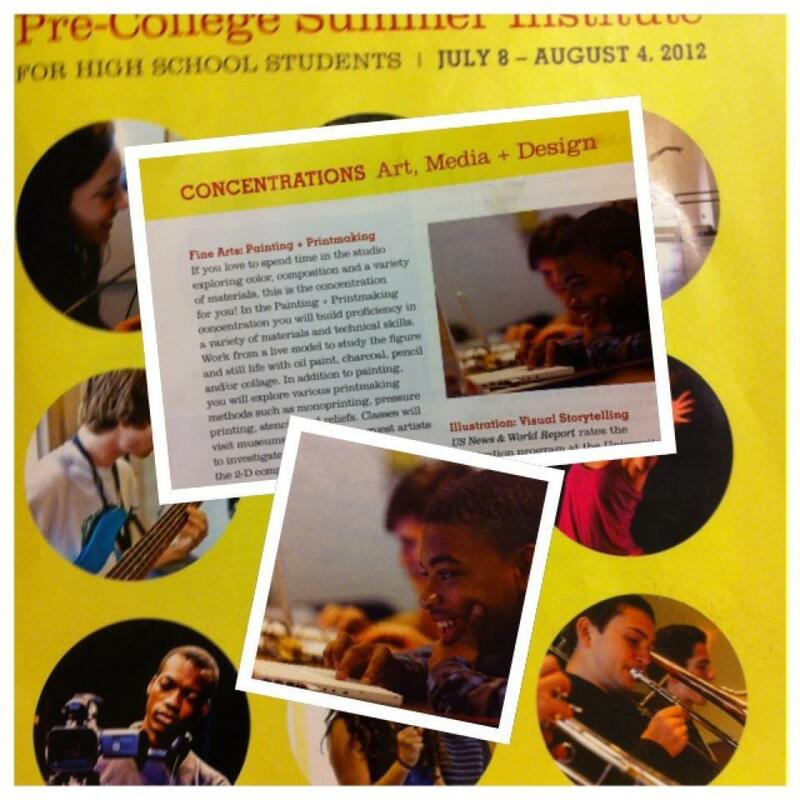 It’s his second time being featured in a Pre-College printing. They must love that face as much as I do. The best thing I can do for such an artistic child is believe in his craft and support it any way I can. I think if your child shows interest in anything positive, it’s a parents job to cultivate it. We’ve been doing that for our boys since they were little and they always tend to find their way to their purpose. We’re looking forward to another wonderful and enriching summer! Maybe we will let him stay on campus this year…….. I just downloaded the new Facebook app called, Paper on my iPhone and I love the look already. I’ll check it out for a bit and maybe even write a review. *note* There is a n app out there for iPad called Paper and it’s pretty sucky that Zuckerberg is squatting on an already established apps name. Last Thursday, Facebook announced that it was about to release an iPhone app called Paper. The app is now available from Apple’s App Store. If you use Facebook on an iPhone, you really need to try it. That’s because the app — unlike other Facebook mobile efforts such as Messenger and the failed Snapchat knockoff Poke — isn’t a specialized tool or a side project. 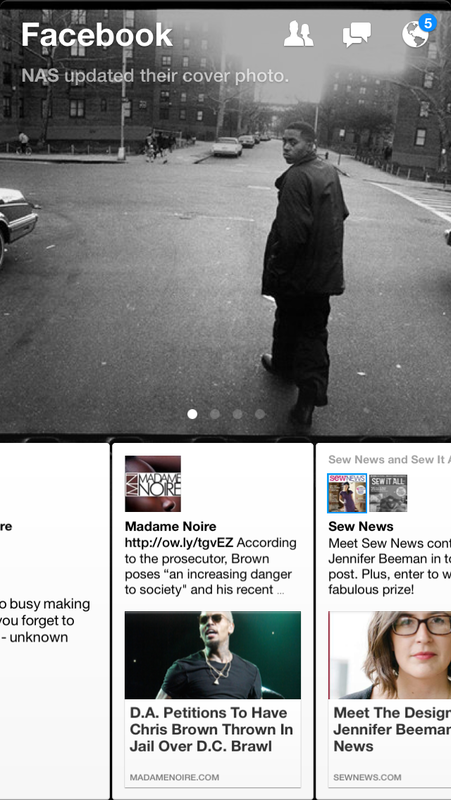 It’s Facebook — almost all of it, anyhow — rethought for a small screen, with 2014 aesthetics. By calling it Paper and leaving the original Facebook app untouched in the App Store, the company smartly avoids leaving users feeling like radical, jarring change is being imposed upon them. But it’s hard to imagine that Mark Zuckerberg & Co. don’t see the ideas in this app as a first rough draft of Facebook’s future, period.